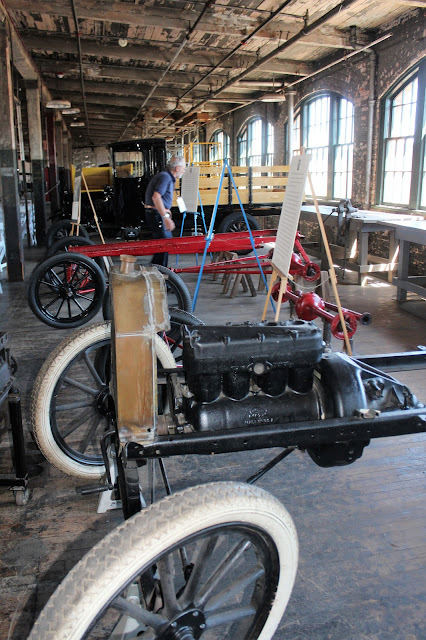 Our first major trip with the Corvette after the 5 day trip from Edmonton in 2015 was a multi-state tour of the American Midwest, with a focus on automobile history and car events, that would take us from Michigan to Ohio to Kentucky to Indiana and then home again. 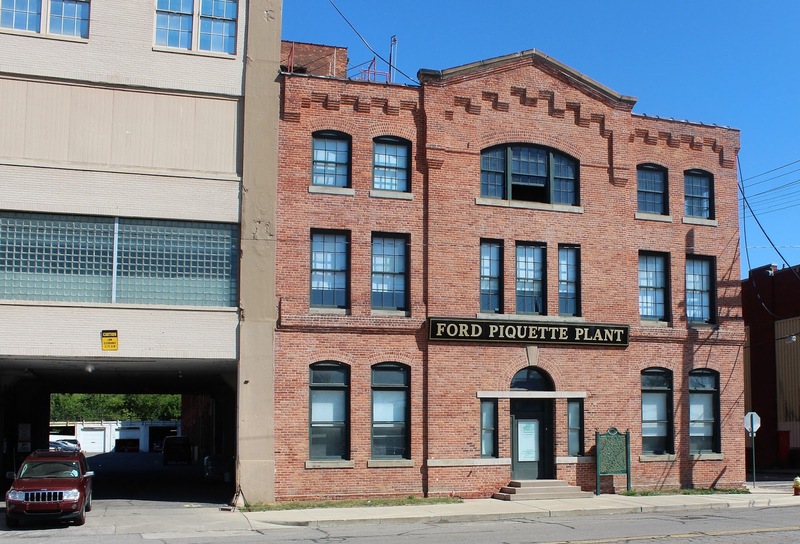 After an overnight stay in Windsor, Ontario, we crossed the border over the Ambassador Bridge and arrived early in Detroit and our first stop of the tour: the Ford Piquette Avenue Plant. The Piquette Avenue factory, located in an area known as Milwaukee Junction due to the presence of railway company crossings, was the first purpose-built factory of the Ford Motor Company and only its second location. 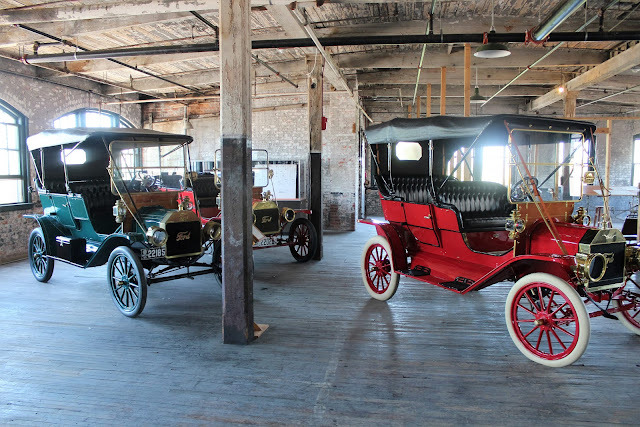 Built in 1904, it is a three story structure that is 402 feet long and 56 feet wide and cost $76,000, It was here that Ford build the Models B, C, F, K, N, R, S and, most importantly, T, the machine that changed the world. 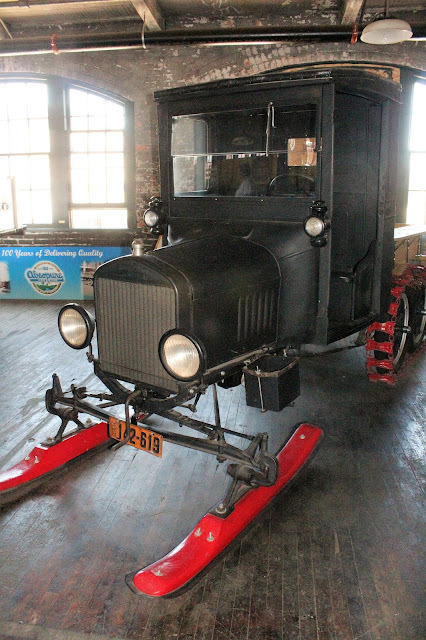 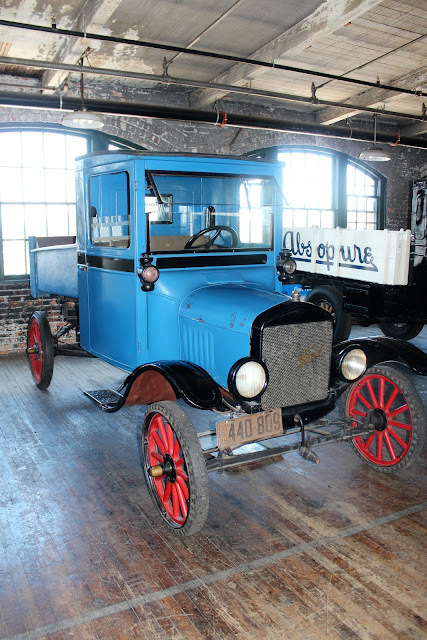 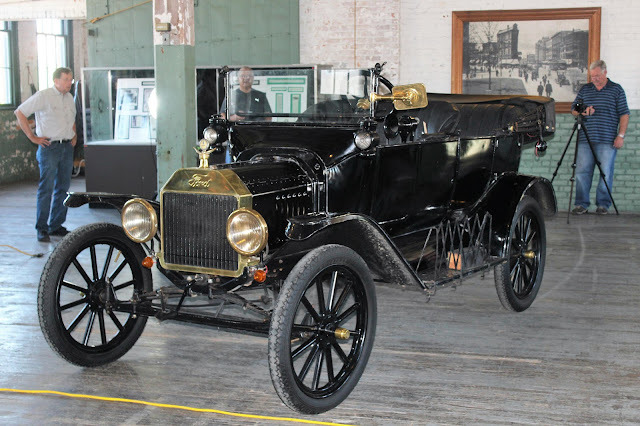 Introduced in 1908 as a 1909 model, the Model T was conceived in a 12 x 15 foot cordoned-off area at the back of the third floor of the plant and you can see where Henry, who had brought his mother's old rocking chair for good luck, worked with his engineers to develop a car like no other: sturdy, reliable, and inexpensive. 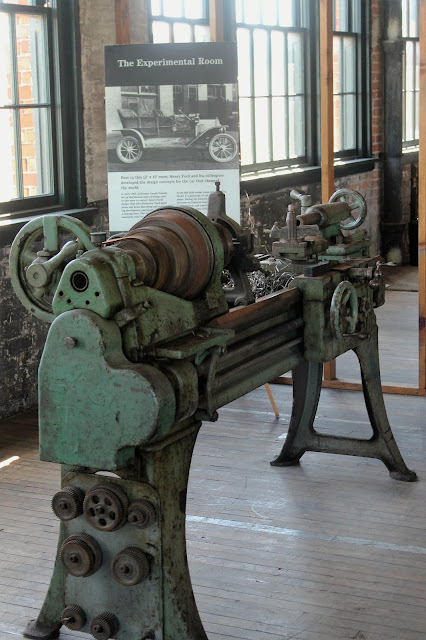 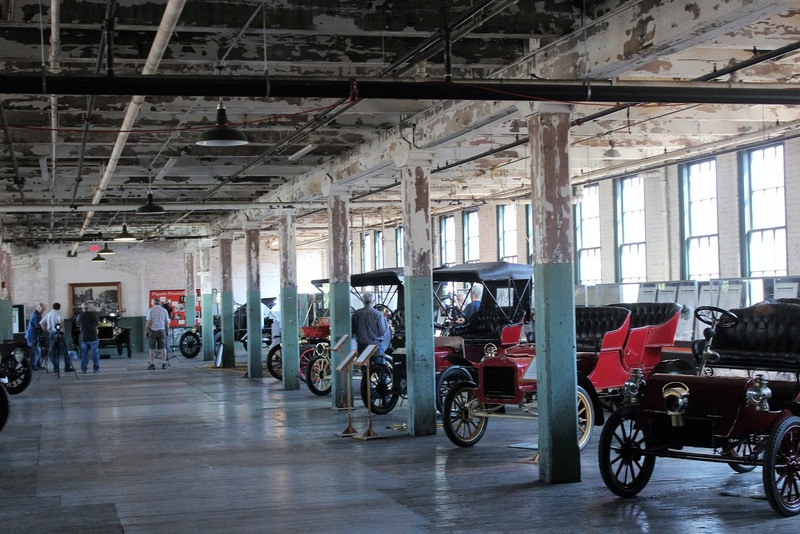 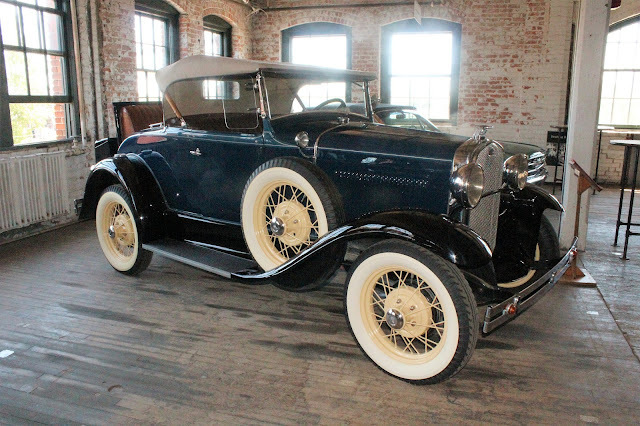 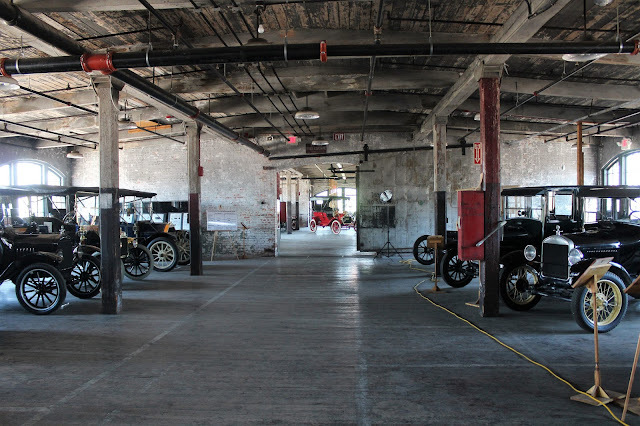 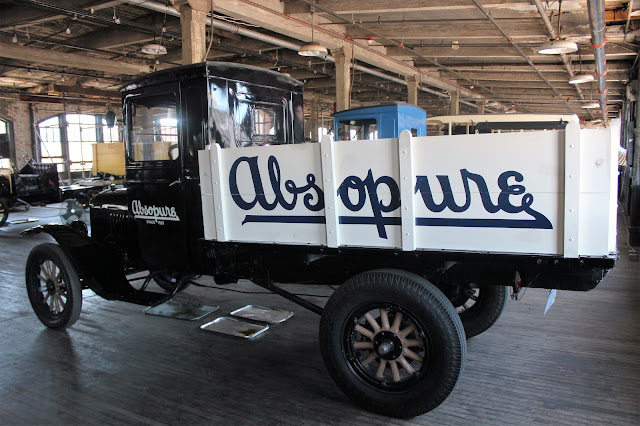 12,000 Model Ts were constructed at Piquette Avenue and the demand was so insatiable for the $875 car that by 1910 the company had relocated to the Highland Park plant, which became world famous for its assembly-line innovations. By the time production ended in 1927 with 16.5 million cars made, the price had fallen to $260 although the car was better equipped than the earliest version. 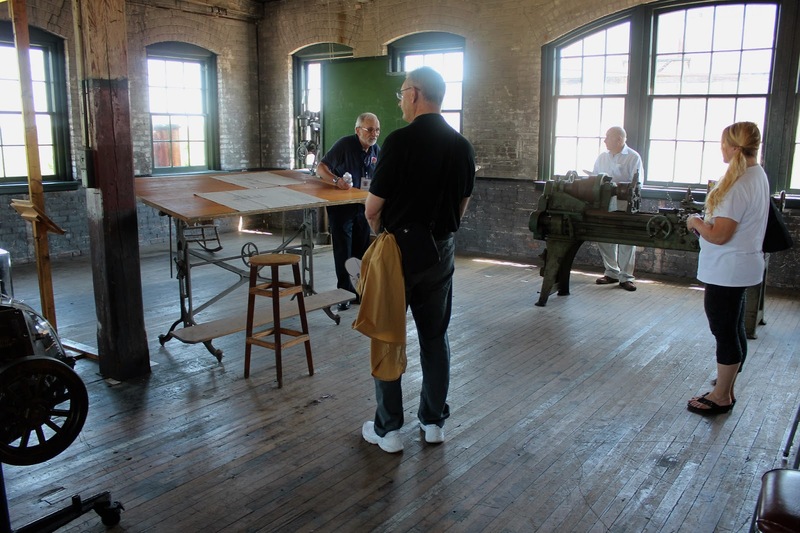 Final assembly of the T took only 93 minutes! 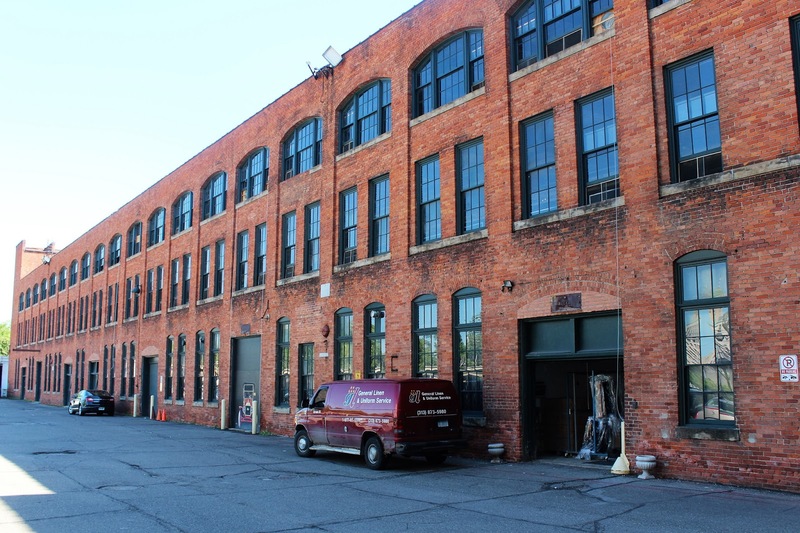 We were taken on a tour of the factory (the museum occupies the top two floors of the building but hopes to eventually reclaim the first floor from the commercial laundry company paying the rent there now) by a very knowledgeable docent who had been an engineer at Ford for many years. 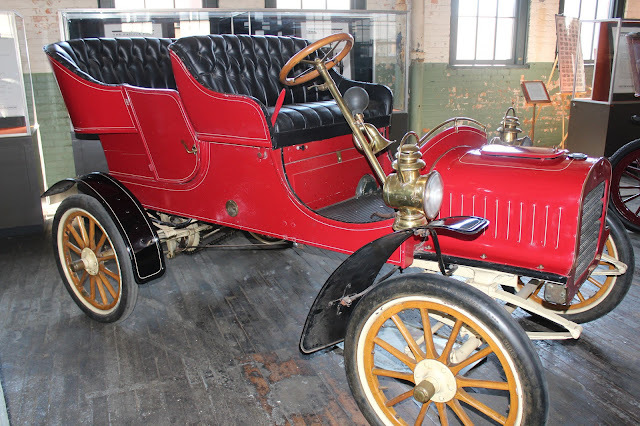 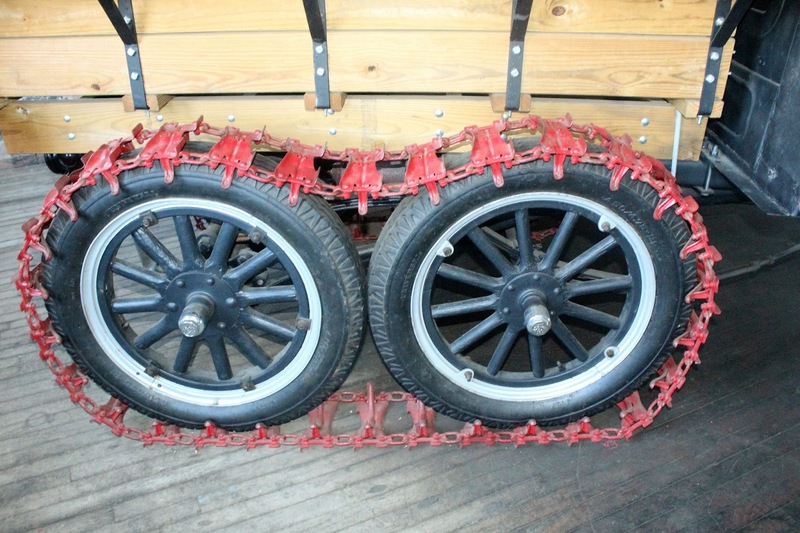 We began by looking a a beautiful red brass-era Model T that had actually been built at Piquette. 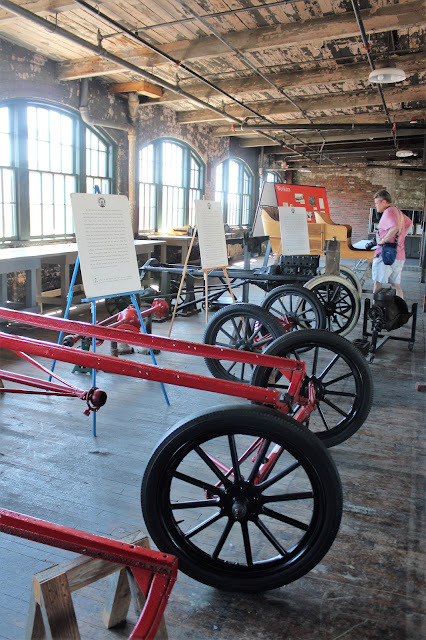 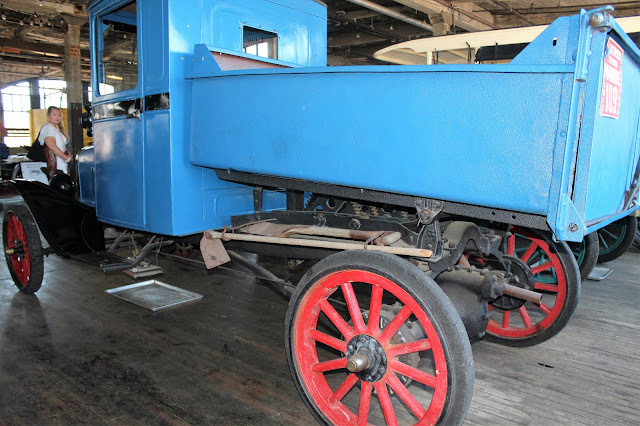 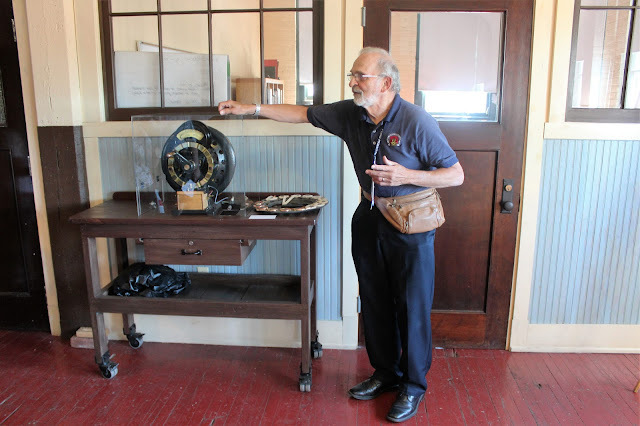 Our guide spoke about the innovation that went into the building of the T, from its special vanadium steel subframe, simple magneto electrical system, to the team assembly method, where workers brought the parts to the cars, which were stationary. Compared to the other cars of the era, the Model T was sturdier, with its all-metal frame, but lighter and more efficient. 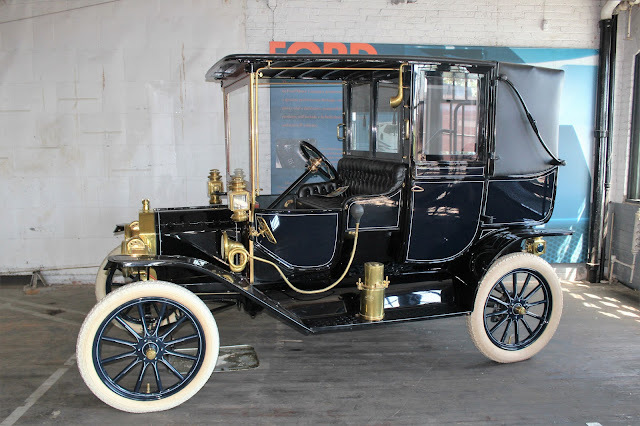 The museum has a number of competitor cars on display as well and it was clear that Henry Ford's vision of the car for everyman was not shared by other (now forgotten) manufacturers. 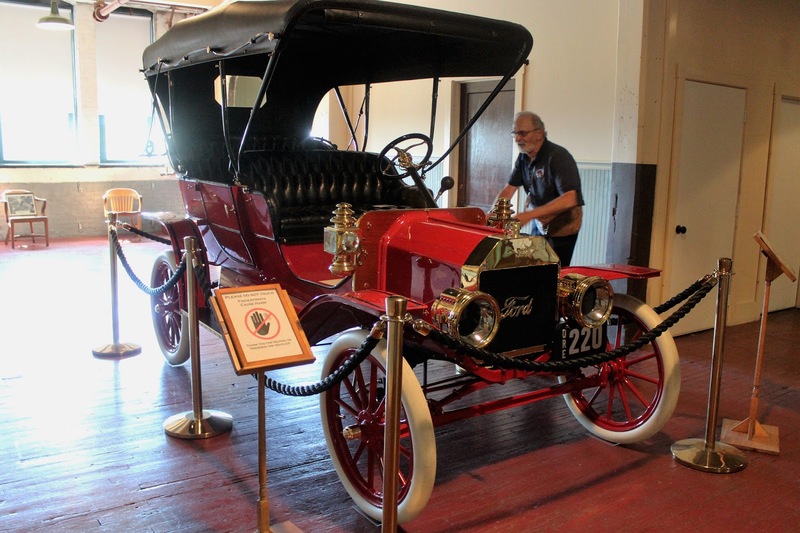 The museum has a wonderful display of the various models of the car, which was built in many different kinds of body styles and for many different purposes. Custom-bodied Model T limousine--note the speaking tube near the driver's head! The museum is a worthy institution to highlight the importance of innovation in industry and the car, so familiar to us all, took a huge leap from rich man's toy to an object of great utility (and, for many, of passion) here.